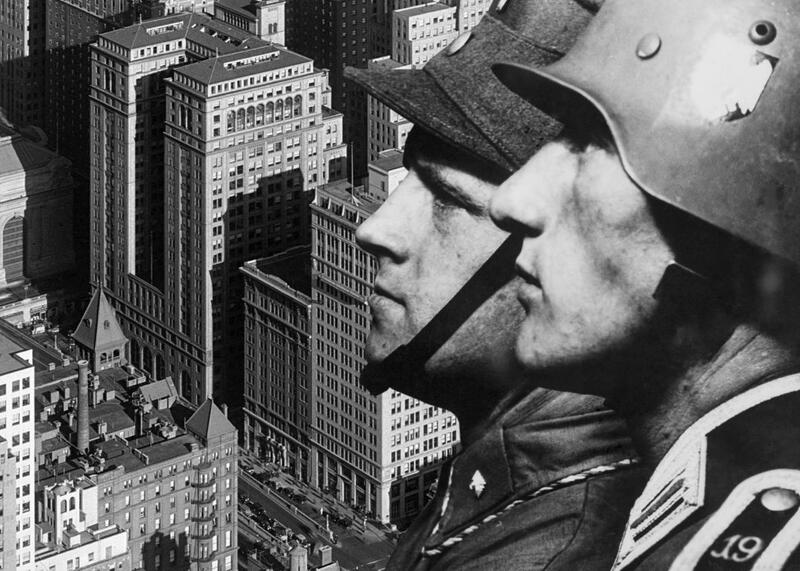 World War II: What would have happened if Germany had invaded the U.S.? Photo illustration by Lisa Larson-Walker. Photos by Samuel Gottscho/Library of Congress and Keystone France/Getty Images. Then the war either would have ended early (like 1942 or 1943), or there would have been massive numbers of German casualties with nothing to show for it. The Germans also still would have had to undertake European battles along with their invasion here. England was bombing German cities. The Soviet Union was beginning what would be its bloody push to force the Germans out of its homeland. Italy was losing in North Africa, necessitating German assistance there. Yugoslavia’s partisan conflicts were just beginning. And Germany had large areas of France, Poland, Norway, and the Low Countries that it needed troops garrisoned in just to keep pacified. If they could have found a million or so “spare” force to throw at an attack on the U.S., it would still have maintain its status quo in the lands that it already conquered. Military history: Why did France get occupation zones in Germany and Austria, despite sitting out of most of World War II? Alternate histories: How would the world like today if the Black Plague had not afflicted Europe? World War II: What started World War II?